The paper considers the correction algorithm of geodynamic monitoring system probing signal developed on the basis of equipotential geoelectric method. The described correction algorithm is designed for processing data received from temperature and humidity sensors, proximity transformer sensors in order to reduce the influence of temperature and hydrological interference on the performance of geodynamic monitoring system of subsurface soil. The correction algorithm under discussion can be easily employed in existing geodynamic monitoring systems after the introduction of minor changes to them. For the correction algorithm operation you must have a geoelectric section study area; a geoelectric model of the geological study area section, taking into account soils electromagnetic properties; soil database, their properties and their dependences on temperature and humidity. Keywords: geoelectric monitoring system, monitoring system, geoecology, geo-ecological monitoring, forecasting. Instanes A. Arctic Climate Impact As-sessment – Scientific Report, 2006, chapter 16. Kamshilin A.N., Kuzichkin O.R., Tsaplev A.V. 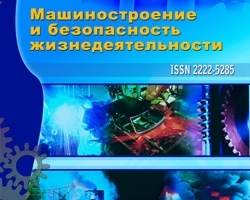 Study the effects of climate interference in multichannel measurement device geoelectric signals // Radiotechnology, 2008, № 9. – P. 129-133. Tsaplev A.V., Kuzichkin O.R. Application of regression processing to compensate for thermal interference in the geoelectric monitoring // Listening to the radio industry, 2012, № 2. – P. 147-153. Correction algorithm of geodynamic monitoring system probing signal, Dorofeev N.V., №4 (18) 2013, Orekhov A.A., Romanov R.V.